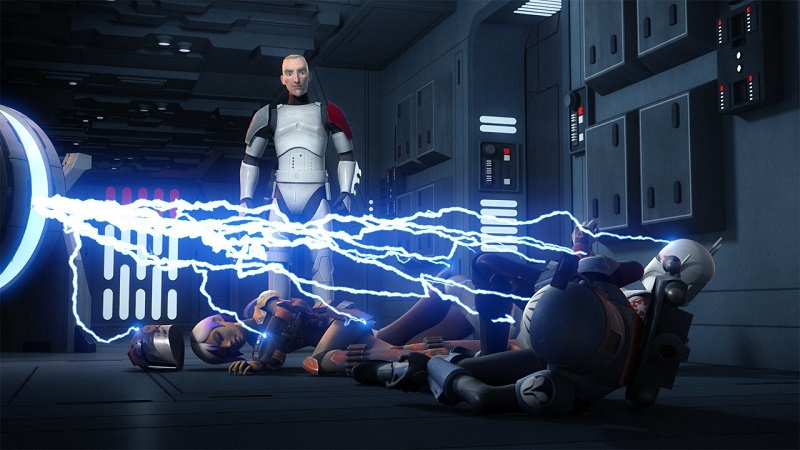 Star Wars Rebels returned for its final season premiere with “Heroes of Mandalore,” a two-part debut which focused on the show’s favorite pyrotechnic protégé and artist, Sabine Wren, and the oppression of Mandalore by the Galactic Empire. The two most central episodes of this story from last season, “Trials of the Darksaber” and “Legacy of Mandalore,” were among some of the best of the series, especially when it came to delving into Sabine’s character and her past. 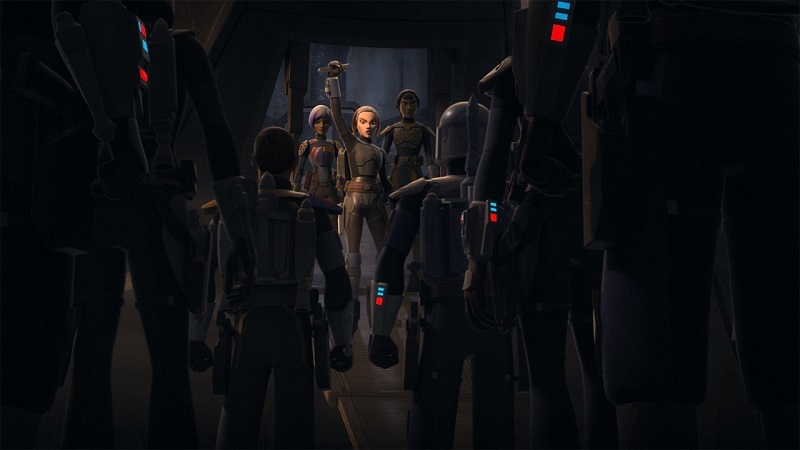 While “Heroes of Mandalore” represents a fine start to Rebels’ ultimate season, it unfortunately turned the spotlight of the storyline from Sabine to a familiar face for The Clone Wars fans, Bo-Katan Kryze. Bo-Katan appeared in the earlier animated series as the sister of Duchess Satine Kryze, the ruler of Mandalore and romantic love of Obi-Wan Kenobi. 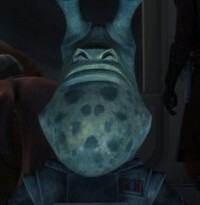 Voiced then, as now, by Katee Sackhoff, Bo-Katan represented a Mandalorian who had rejected the pacifist ways of her sister, which initially placed her within the side of the antagonists until she rebelled against the rule of Darth Maul, who had exploited the schisms among the Mandalorians to place himself on the throne. Before the series ended, she became identified as a hero, and in that capacity she returned in “Heroes of Mandalore.” Meanwhile, our Mandalorian hero, Sabine, exists in the episode to essentially coronate Bo-Katan once the viewers have been satisfactorily assured of Bo-Katan’s justness through multiple moments in the season premiere. It is not often we are treated to a question of leadership between two women in the media, and in that regard “Heroes of Mandalore” is sensational. At no point in the episode are either of the women’s ability to lead or fight questioned based on their gender, something Rebels has generally been good about avoiding. However, the writers must have decided that for Bo-Katan to appear worthy of the mantle of leader, Sabine had to hit a few pitfalls. In part one of “Heroes of Mandalore,” Sabine is immediately lured into a trap in an effort to rescue her father, who had been imprisoned when Sabine defected from the Imperial Academy. Who tells her it was obviously a trap? Bo-Katan. 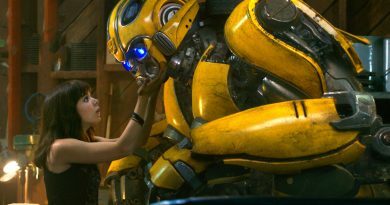 Who saves Sabine after she’s defeated in battle, stunned, and rendered unconscious? Bo-Katan. In fact, when an attack is launched to rescue Sabine’s father, Alrich Wren (voiced by the fabulous Cary-Hiroyuki Tagawa), Bo-Katan manages to both be involved in the attack and later show up with a ship to save everyone from an impending TIE attack. 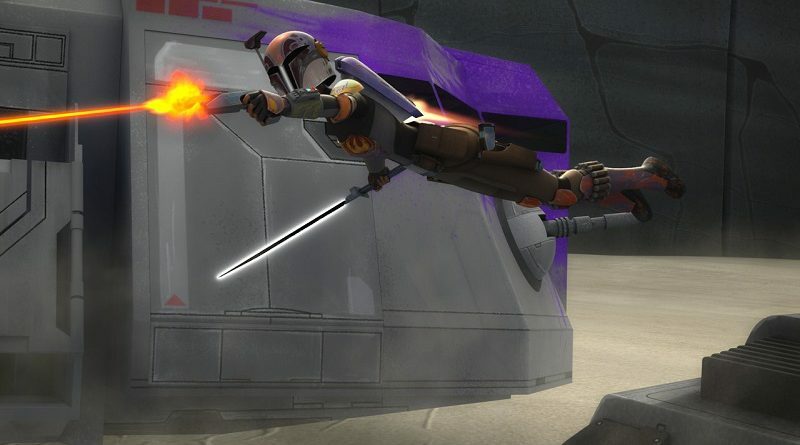 After the TIE attack is averted, in which Bo-Katan shows Ezra how a Mandalorian with a jetpack can take down a TIE fighter single-handedly, Bo-Katan assumes the role of judge by accusing Sabine of betraying Mandalorian tradition by creating a weapon specifically designed to kill Mandalorians by targeting their armor. We know about this weapon from “Trials of the Darksaber.” In fact, the emotional strength of that episode was derived by Sabine’s acknowledgement of what she had done and her acceptance of responsibility to set things right. Several times in “Heroes of Mandalore” Sabine is put on the spot to take responsibility, something we know she has already done, and which she does again. 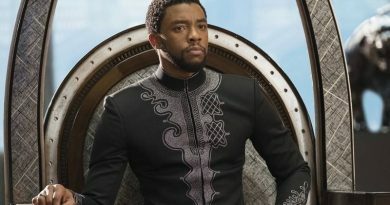 These repeated returns to last season’s emotional crux felt extraneous, even if somewhat necessary given that the second part of the premiere was a mission to destroy the weapon. The wielder of the weapon and new governor of Mandalore is Tiber Saxon, the brother of Gar Saxon, whom Ursa Sabine killed at the end of “Legacy of Mandalore.” While his brother wore Mandalorian armor in the likeness of a stormtrooper’s armor, Tiber’s adherence to the Empire was symbolized by his adoption of stormtrooper armor over his people’s own armor. His plans to adapt Sabine’s weapon as the means to subjugate the people of Mandalore, to rule them through fear, was one of several allusions to how deeply Tiber had drank the Imperial Kool-Aid. Not only is his strategy a mirror of the Tarkin Doctrine, the use of fear to create order and peace, but later when he uses the weapon to disarm Sabine and Bo-Katan with Force lightning-like electrical bolts, he references Palpatine. The weapon itself, with its ability at full power to wipe out armies, drew parallels to weapons of mass destruction, and powers that should not be drawn upon, such as the Ark of the Covenant; the electrical bolts which shot through the stormtroopers had an unsurprising similarity to the Ark’s own power when it evaporates the Nazis in Raiders of the Lost Ark. It’s also that power of the weapon which again prompts Bo-Katan to assert herself as the reasoned voice, convincing Sabine not to use it against the Empire because it’s not the Mandalorian way. Sabine is chided for not behaving like a true Mandalorian, but unintentionally or not the writers of Rebels had to lower one woman to raise another. What makes this difficult is that in “Legacy of Mandalore,” the writers were able to navigate the same path of respecting the power and leadership of two women in Mandalorian armor, Sabine and her mother, without having to necessarily show one failing against another’s success. While Bo-Katan does praise Sabine, it is done in a manner of superiority, stating that she is personally impressed and that she will not allow Sabine’s best qualities to be wasted. Perhaps most telling that “Heroes of Mandalore” is Bo-Katan’s episode, not Sabine’s, is that Sabine immediately tries to give Bo-Katan the Darksaber minutes into the first episode. 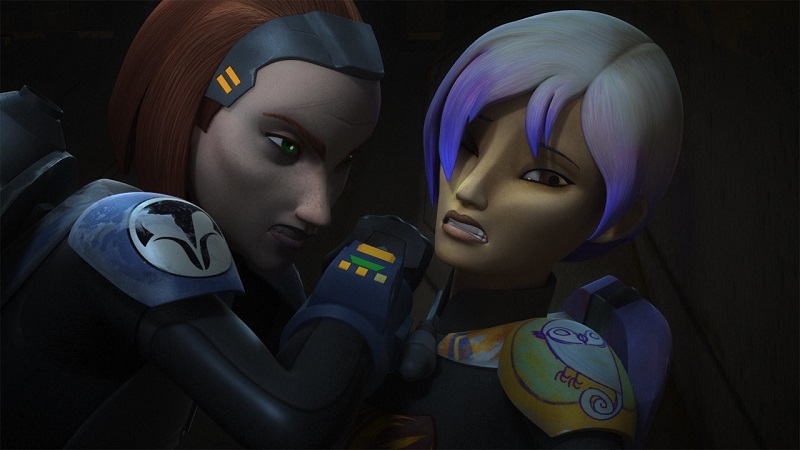 Bo-Katan turns her down, stating she is unworthy, and from that point, the episode is focused on showing why she is worthy to lead up until the moment when Sabine offers her the storied weapon again, and this time it’s accepted. Overlooked is the fact the Darksaber was the very weapon used to kill Bo-Katan’s sister, Satine. Ultimately, as an episode about Bo-Katan, it is a great episode, and the closing shot with Mandalorian warriors kneeling before three powerful armored women is breathtaking. It’s unfortunately stained by how the writers chose to get to that point. For more on “Heroes of Mandalore,” check out the episode guide and Rebels Recon at StarWars.com.